Richard Ellis, member of the Thirty Meter Telescope’s (TMT) Board of Directors and Science Advisory Committee, has received the Gold Medal of the Royal Astronomical Society. Awarded annually since 1824, the Gold Medal is the Society's highest honor and one of the premier prizes in astronomy. Ellis, Caltech’s Steele Professor of Astronomy, joins a long list of distinguished recipients, including several from Caltech: Don Anderson, Peter Goldreich, Gerald Wasserburg, Maarten Schmidt, Fritz Zwicky, Jesse Greenstein, Ira Bowen, and George Ellery Hale. According to the London-based society's award citation, "[Ellis] has been one of the most influential British astronomers in the past thirty years," and the Gold Medal recognizes his "outstanding personal research achievements and his leadership in astronomy." Ellis's research focuses on the large-scale distribution of matter in the universe; the cosmic expansion history; and the evolution of galaxies, through detailed studies of nearby systems and the exploration of the very earliest objects. After Ellis came to Caltech in 1999, the latter observations were accomplished in large part at the Keck Observatory. "We are very proud that Richard continues the long tradition of outstanding achievement in astronomy at Caltech,” says Tom Soifer, professor of physics and chair of the Division of Physics, Math, and Astronomy. As a scientific mentor, Ellis has supervised 30 PhD students; 28 are still active in academic research. 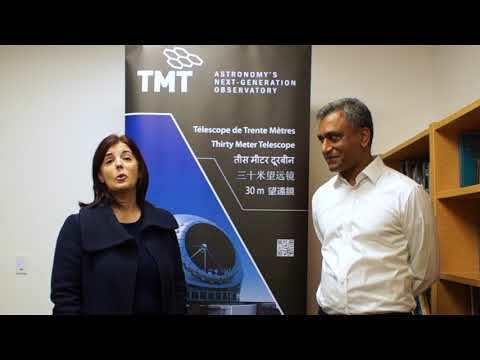 He served as Director of Palomar Observatory (now Caltech Optical Observatories) from 2000 to 2005 and has played an important role in building the science case and partnership for the Thirty Meter Telescope. He has received several other honors, including sharing the Peter and Patricia Gruber Foundation's Cosmology Prize for his part in the discovery of the accelerating universe and the Royal Astronomical Society's Group Achievement Award for his leadership in the 2-degree Field Redshift Survey, one of the largest astronomical surveys ever performed. Ellis was made a Commander of the British Empire by Queen Elizabeth II for services to international science, and is a Fellow of the Royal Society, the American Association for the Advancement of Science, and the Institute of Physics.